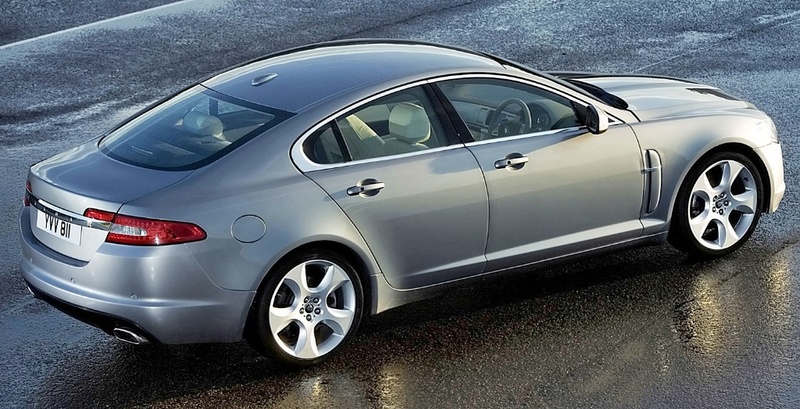 drivingandlife: JAGUAR XF - SHARING IS NOT GOOD! 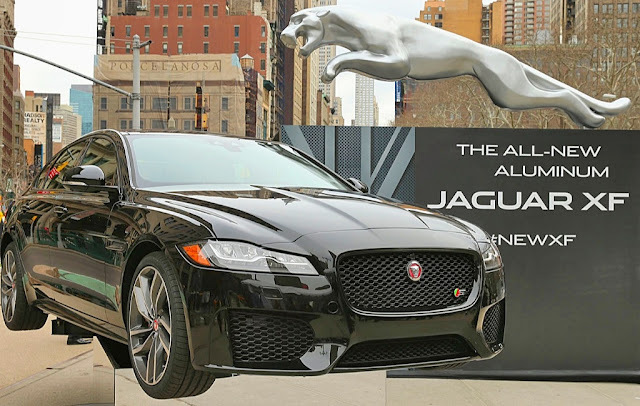 The 2016 Jaguar XF sedan will occupy the spotlight next up, however it’s worth a trip back in my Time Machine to understand just how successful the latest version of Jaguar’s mid-range sedan has turned out. 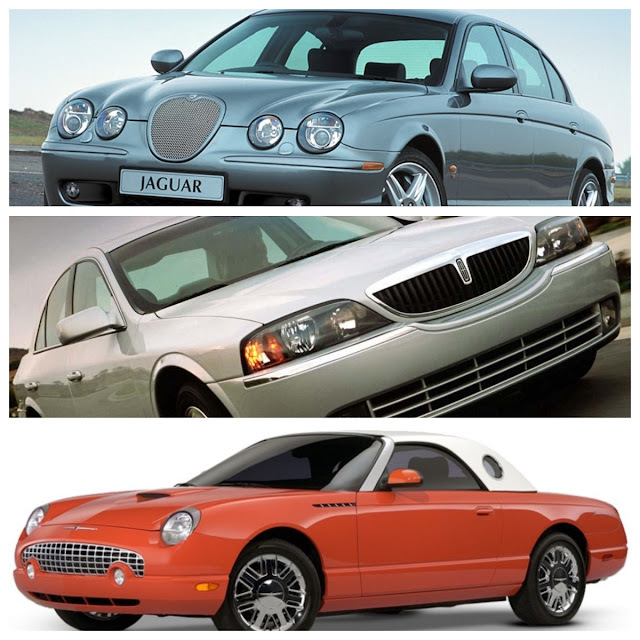 Back in 1994 when Ford owned Jaguar, it was decided to utilize the DEW98 platform for three upcoming new cars, the Jaguar S-type, Lincoln LS and the Ford Thunderbird. As I wrote in my post “How to Manage an Octopus – or Not!” back on May 10, 2014, the Jaguar and Lincoln siblings were compromised before each program began, due to devious and secretive tactics by the Ford engineers running the Thunderbird program. Specifically, Jaguar desperately wanted an interior package which offered the same rear legroom as the BMW 5-Series; however, by the time the Jaguar/Lincoln engineers attended their FIRST joint meeting in Dearborn, which was the THIRD platform meeting, the Thunderbird engineers had already set the platform dimensions ‘in stone’ meaning Jaguar would not be able to realize its dream of having a car which competed equally with BMW’s 5-Series. 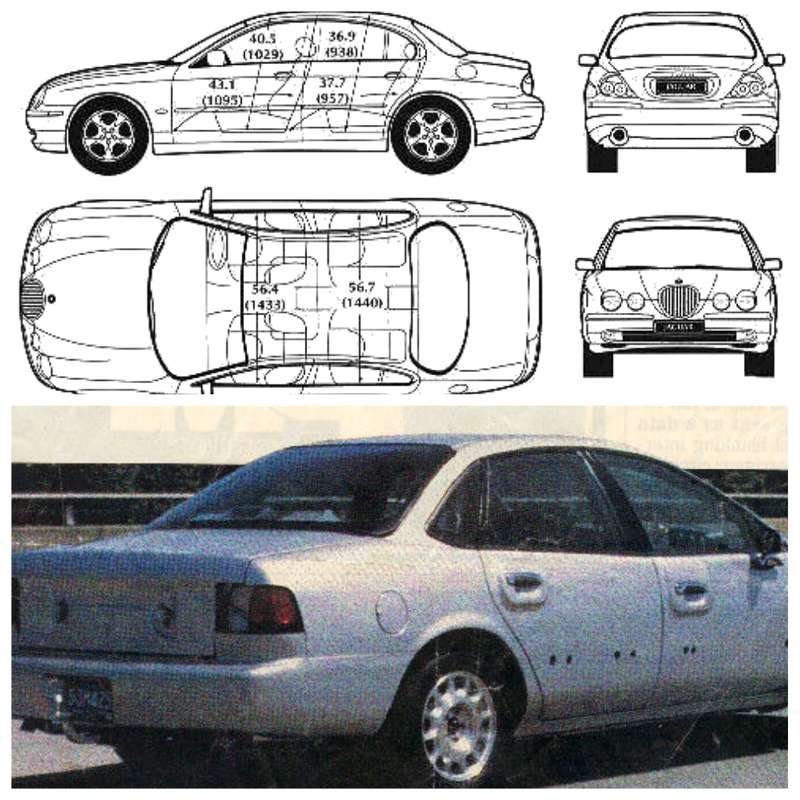 When Jaguar and Lincoln engineers saw the first Lincoln LS test mule (left bottom), and took their measurements, both camps realized the design would not deliver the optimum dimensions for either brand – and there was no wiggle room! Our Time Machine, moves us to 2005, Jaguar Design Chief Ian Callum is starting on Project X250 (XF). 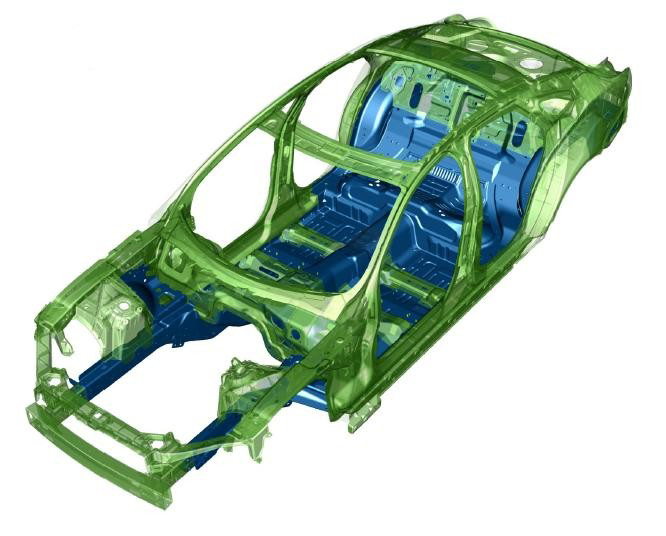 Jaguar's Board wanted the car asap, which meant an all-aluminium platform was out of the question, so the old DEW98 steel platform was used as the basis for X250; with a liberal use of aluminium and composite materials sprinkled around various non-stressed components. This graphic below shows how much of the DEW98 platform had to carryover (in blue) to get X250 into production quickly. Design Director, Ian Callum, told me that he didn’t consider the X250 compromised, but the interior package was not as generous as he wanted to deliver. However, high on his list was the essence of ‘sportiness’, which he says was achieved with the low, sweptback roofline. The Jaguar XF was an instant commercial success, and became the foundation on which Jaguar has built its success as a cash contributor to TATA GROUP’s balance sheet over the last seven years! Despite successfully utilizing elements of the DEW98 platform, Callum had his eyes on a brand new, all-aluminium successor, which would reject any compromise, and finally deliver the car both he, and Jaguar’s management had in mind, back in 2008. The 2016 XF (Project X260) is that car!